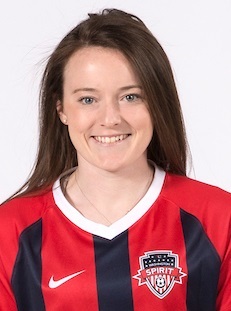 Rose Lavelle was drafted by the Washington Spirit with the first overall pick in the 2018 NWSL Dispersal Draft. 2018: After being chosen by the Washington Spirit in the 2018 Dispersal Draft, Lavelle made 11 appearances, five starts, and contributed offensively with a 75% pass completion percentage, and defensively with an 81.8% success rate on tackles. Boston Breakers: Netted two goals in 10 games for the Breakers during her rookie NWSL season.